This is a new replacement exterior door handle gasket used on 1970 - 1981 Camaro and Trans Am. 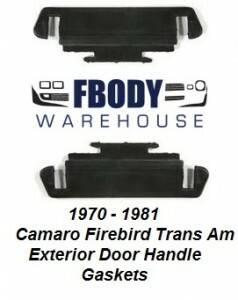 This is a new replacement exterior door handle gasket used on 1970 - 1981 Camaro and Trans Am. 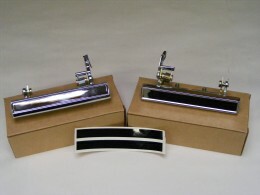 These cover the metal mounting plate on the exterior door handle. Install takes under one minute and is a great addition when installing new door handles.